Traffic Rider is the latest of what seems to be a fast-growing number of games that test how well you can navigate your vehicle in traffic. 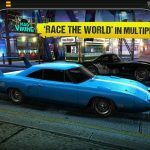 The game is very new, having been released for iOS devices not too long ago, and it’s from the same company that gave us the far more established Traffic Racer. And in here, you’ll have to complete different missions that would typically require you to ride your motorcycle at breakneck speeds, while avoiding cars, trucks, and other staples of everyday traffic. As you complete more missions, you’ll earn yourself more cash and more gold in the process. Navigating city traffic – and any kind of traffic – could be dangerous if you’re driving a vehicle at an extremely high speed. 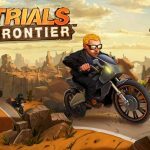 So check out this list of Traffic Rider tips and tricks if you want to complete more missions and earn more in-game money for your daredevil bike-riding. Traffic Rider’s controls can be a bit tricky if you’re just starting out, but the main thing to remember is that you maneuver your bike by tilting your phone left and right, naturally corresponding to the direction. Your accelerator is on the right side of your screen, while the brakes are found on the left. Know when to use the brakes – this would normally be when all the lanes are blocked – but in general, know how and when to use the controls. Driving fast and beating the required time to complete a mission is paramount. But you can add to the amount of time you have to complete a mission, first by racing through a checkpoint; this automatically adds some seconds to the timer. You’ll also gain a split-second (0.1 second) of time when you do what many games of this type call a “close shave” – that’s riding your bike ever-so-close to another vehicle. You will, however, need to do this close shave at more than 100 kph, so make sure you aren’t just cutting it close, but doing it fast. 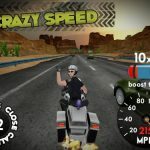 For earning cash in this game, the best thing to do would be to ride your bike in the opposite lane as much as possible, if you’re riding on a two-lane highway. With consecutive close shaves and a long period of time spent above 100 kph, you can string together combos and add to the cash you earn at the end of a round. And if you want to make sure that this big money is yours, you should also complete the race from start to finish. There are different ways to earn free gold in this game, starting by watching advertisement videos. You can also like the game on Facebook or follow it on Twitter, or also subscribe to its YouTube account for more gold – that’s two pieces for each of the above actions. Although it’s possible to upgrade your bike’s speed, handling, and brakes, it might be better for you to buy a brand new bike. 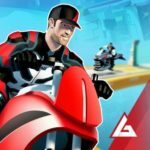 You can follow the above tips to earn more cash and gold, though you can also play endless mode or time trial, if unlocked, if you’re in need of some extra cash to pay for a new motorcycle. And this completes our collection of Traffic Rider tips and tricks. If you know some other hints for the game, that we haven’t included in this article, be sure to contact us!